This Craigslist 1994 Honda Accord has had some cosmetic work done, and we're not just talking Bondo and some touch-up paint. For the most part, the exterior is fine. If you like the whole wide-body stanced look on a classic sedan, you could do a lot worse. 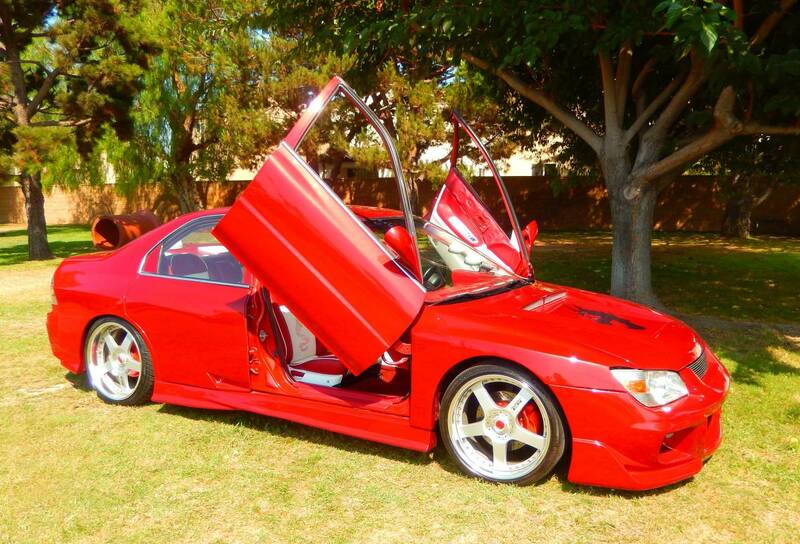 The build looks clean, and it even has "Lambo" doors but is not a Lambo. 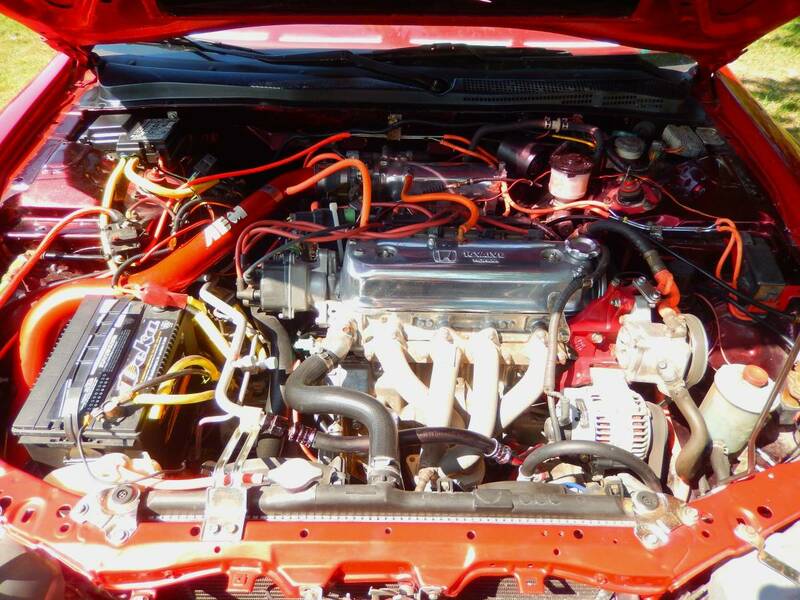 The listing explains that the engine has had lots of things added that make this 23-year-old Honda go fast (VTEC, yo!). 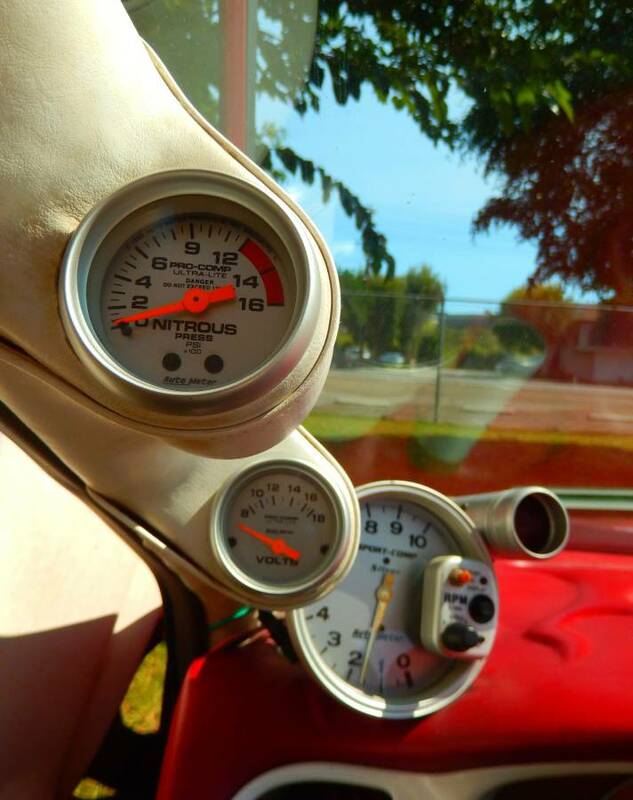 It's got, according to the listing, 114,421 miles on it, so if something with the engine mods was going to fail, it probably would have happened already. And if something were to go wrong with the engine, you'd be able to see it thanks to the dragon's head window on the hood. 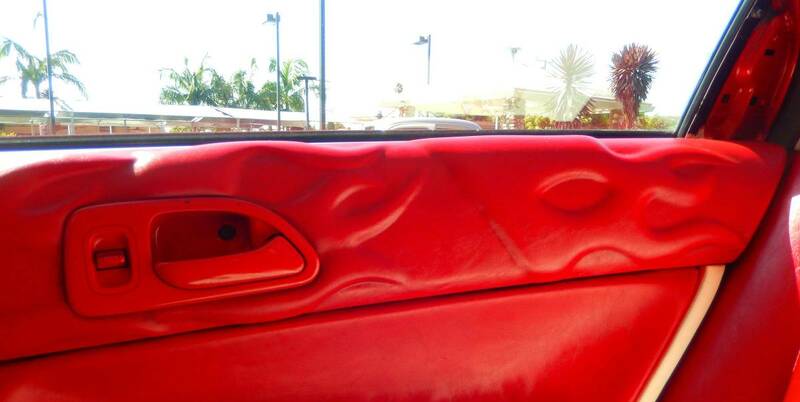 Wait, what was that about a dragon's head window on the hood? 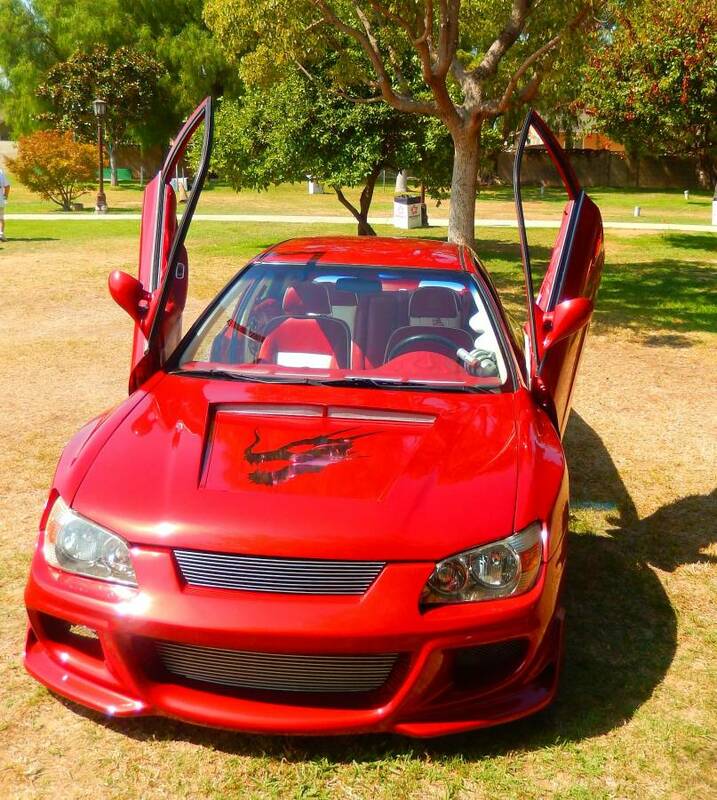 There is a dragon head shaped window on the hood. You can see the VTEC, yo. 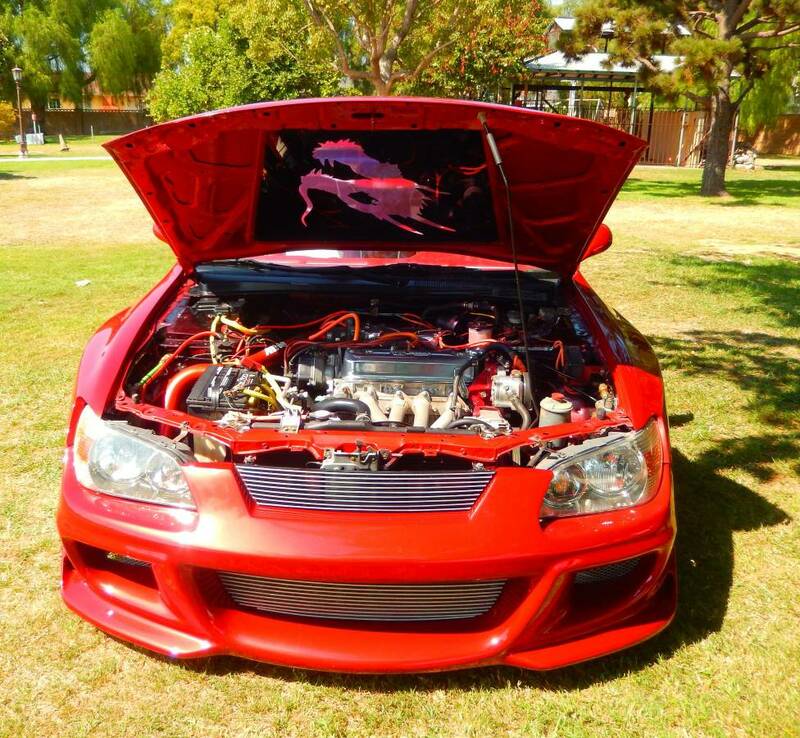 You can see the VTEC, yo! This is where things go from tasteful to questionable. 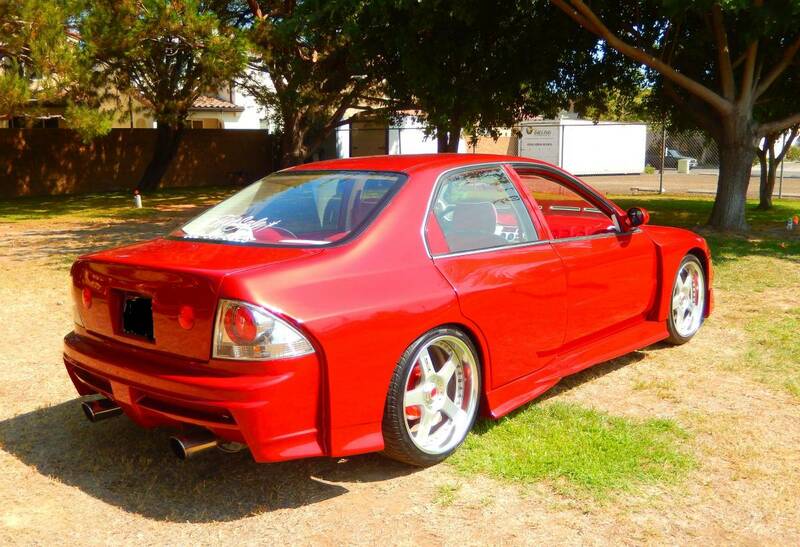 This Honda is apparently known as "The Dragon", for reasons that are about to become all too clear. 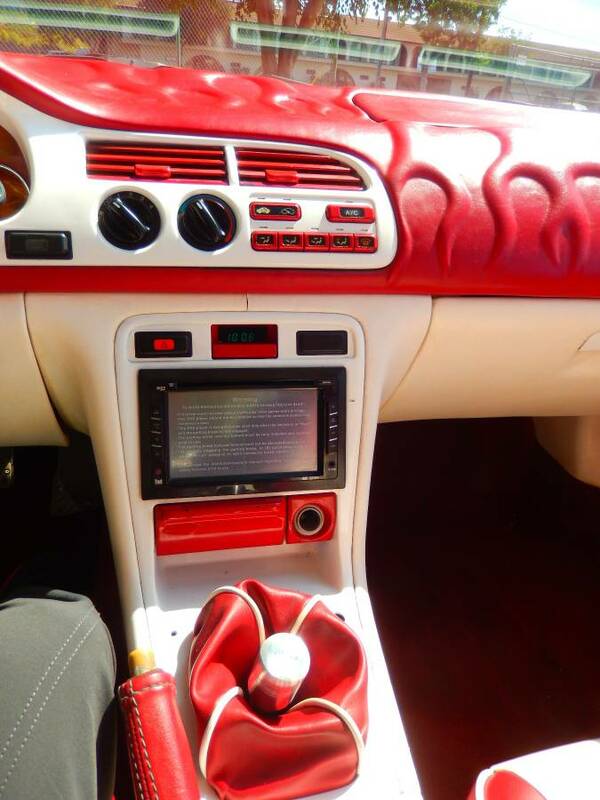 Besides tuning the engine and for the most part tastefully giving the car a new look, the interior is where it all goes wrong. 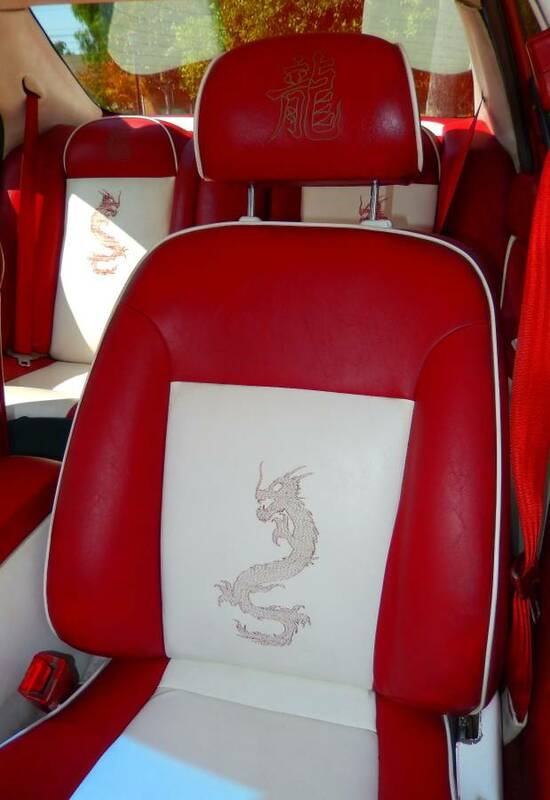 The listing describes the interior as having "been fully redone and nearly every component has been refinished in red and white vinyl along with the "Dragon" motif prominently displayed in the front and rear seats. 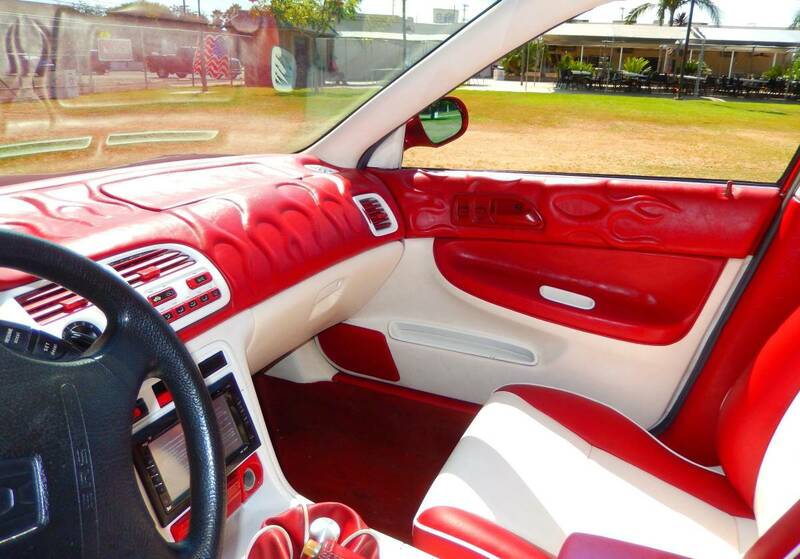 The "Flame" treatment has been given to the dash and upper door trims." The listing does not lie. What it leaves out is that you can never unsee it. Behold, a great red dragon. 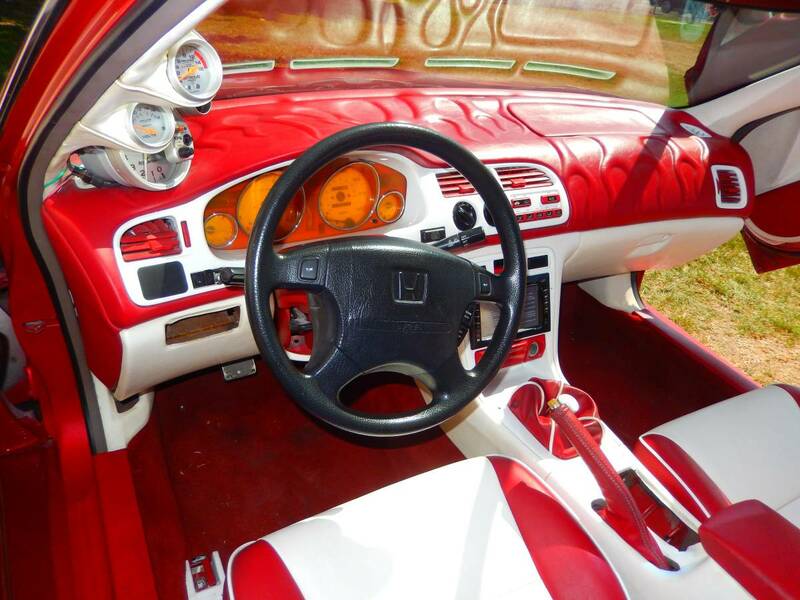 The curious thing is that the steering wheel is still stock. Did they run out of puffy paint? If you are going to go full flames and dragons, go full flames and dragons. The center of the steering wheel is the perfect place for a dragon's head to match the one on the hood. It's a no-brainer. And how is this shifter even functional? Is there a black hole under there sucking it in? The upside is that it has a fresh coat of paint, which is good considering it used to have a dragon on the side of it. "I am the Dragon. And you call me insane. You are privy to a great becoming, but you recognize nothing. To me, you are a slug in the sun. You are an ant in the afterbirth. It is your nature to do one thing correctly. Before me, you rightly tremble. But, fear is not what you owe me. You owe me awe"